Our engineering team is comprised of a group of highly skilled registered professionals in the civil and electrical engineering disciplines. The diverse composition of the team provides for an environment where complex infrastructure projects with its related engineering challenges can be analysed and resolved, with the most effective, innovative and sustainable solutions. 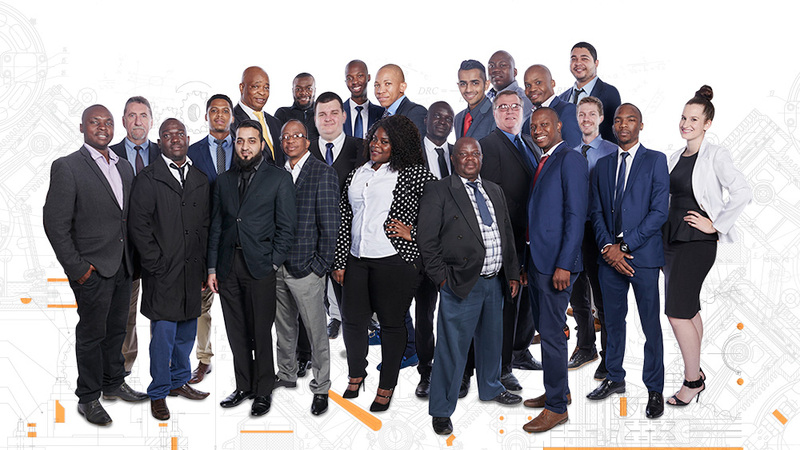 With more than 65 years of combined experience between its members, the team is positioned to tackle any engineering challenge which is encountered by our client in the management of their assets over the lifecycle thereof. Spatial Planning is a pragmatic discipline that infuses scientific research with localised knowledge and spatial analysis. The result is a professional discipline that has a human face and is at the forefront of every development initiatives throughout RSA. 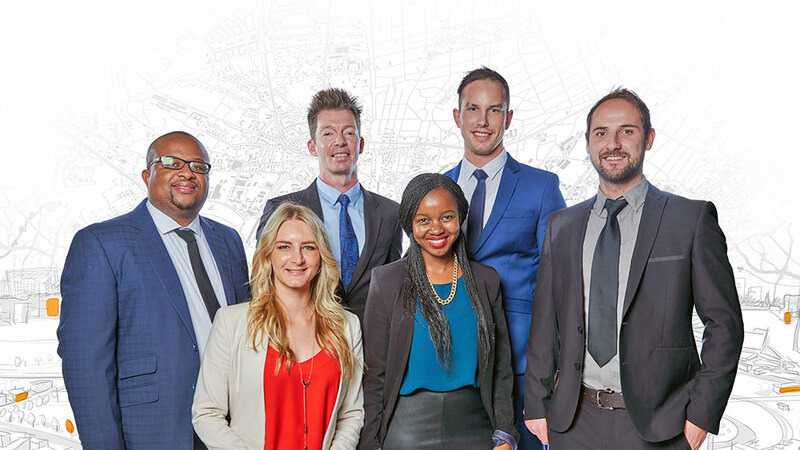 The Spatial Planning and Land Use Management Unit, led by Werner Fourie, is made up of a team of registered professionals with special skills that have been brought together to form a solid base to impart spatial planning. Werner Fourie brings a wealth of experience to the team. With 21 years of spatial planning experience behind him, Werner is considered as one of the leading instigators in spatial planning, urban economics and spatial analysis. Kgaugelo Mametja, with 17 years experience in spatial planning, brings a wealth of experience in land reform, township establishment and community participation. Hildegard Rohr, fast approaching 6 years in the spatial planning field, has excellent abilities to research complicated matters and uses her experience in GIS to analyze complex data to draw meaningful evidence-based conclusions which present innovative recommendations. Werner Mostert, with 5 years each behind him, has profound knowledge and experience in strategic as well as land use planning. Mantsha Nkoana, having joined the team in 2016, has gained experience in land use planning and policy formulation. All in all, you have a team of 55 years of experience that are professionally registered, innovative, disciplined and contribute immeasurably to the industry. 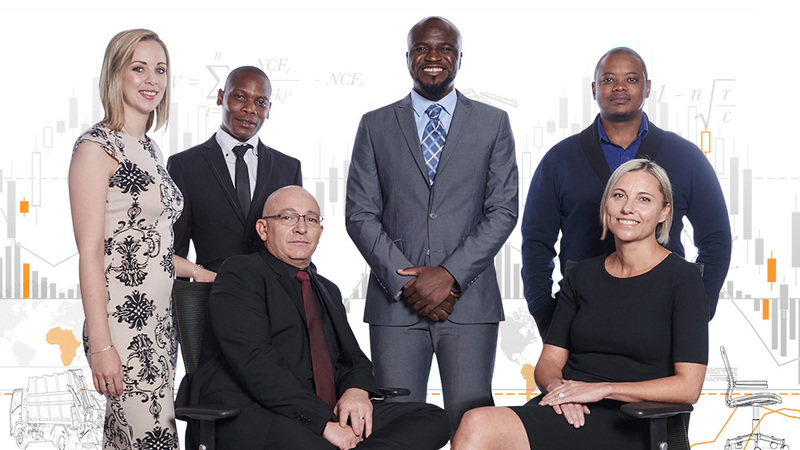 Our accounting team strikes the perfect balance between experience and youth and blends years of municipal finance management expertise with public and private sector auditing and accounting experience in South Africa and internationally. Imogin Nicholson (ACCA) leads the technical accounting team. She is a registered certified chartered accountant and brings a wealth of experience to the team with auditing and financial management experience obtained both locally and abroad, but more importantly, has an in-depth knowledge of application and auditing within the GRAP accounting framework. The accounting team comprises Mosa Jacobs CA (SA), Sixolisile Yaphi (CTA), Kenneth Mabala, Funanani Mavhuthugu and Rendani Nemavhola. Collectively they have more than 30 years’ experience between them, covering the full depth and breadth of accounting and auditing in both the private and public sector. Werner Welgemoed, a well-known municipal finance management expert with 17 years’ experience within the public sector, has been on the forefront with the implementation of municipal and financial reforms such as the implementation of the MFMA, Municipal Budget Reforms and GRAP. Werner is also one of a handful of financial practitioners worldwide registered as a Certified Asset Management Assessor (CAMA), and brings the financial, accounting and engineering disciplines together under one roof as the director of Asset Management Operations. We believe that intellectual capital is critical to provide innovative and integrated solutions to our clients. The data and properties team is led by Erina Otto with over 18 years of diverse built environment experience. She has been pivotal in providing built environment related solutions to public as well as private sector clients. Erina’s expertise and professional registrations include project management, certified asset management assessor, property management and valuations, GIS and spatial analysis and systems development roll-outs. Her diverse skillset and knowledge ensure that the dynamic team provide integrated and innovative solutions to our clients. The team consist of four main professions. The first include professionally registered property valuers and specialists with Masters degrees in real estate. Their experience include not only municipal valuations but also a range of specialists valuations such as expropriations and servitudes. The GIS team boast three registered GIS professionals supported by GIS technologists and technicians. The skill set include not only advanced GIS analysis but also data policies and audits. The product and innovative solutions are all supported by our young and dynamic software development team and SQL specialists. 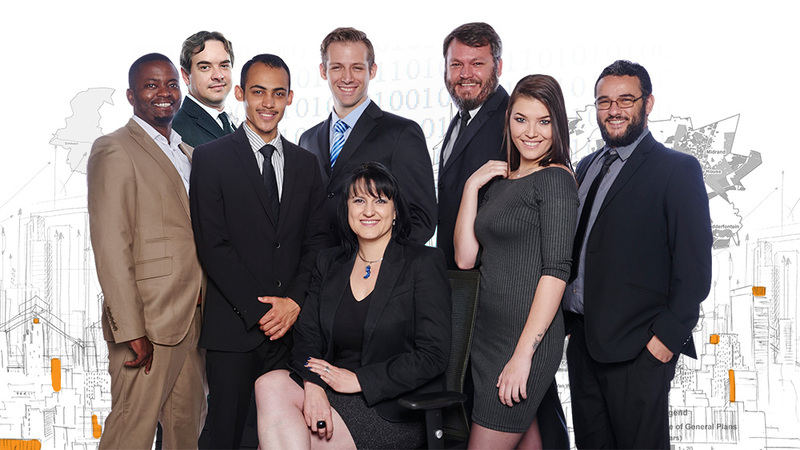 This team has been pivotal in the development and testing of CitySolve™ and the alignment with mSCOA and SPLUMA.